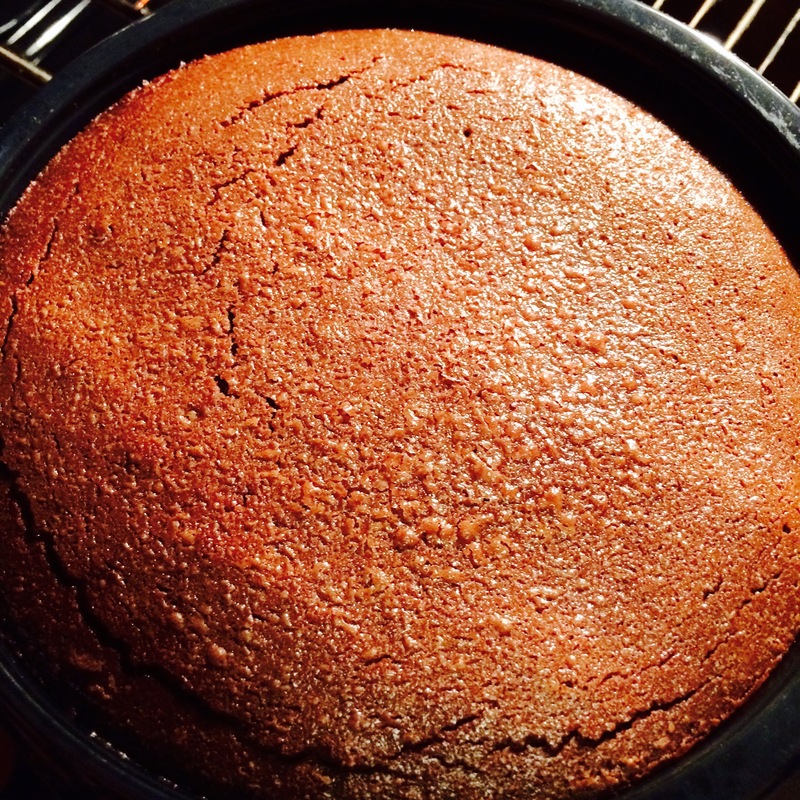 A divine chocolate pudding/cake with a melting middle. The first and best I’ve had so far. Can you please open a branch in Germany, M&S?! is the song that crosses my mind when I eat the M&S Hot Chocolate Fudge Pudding combined with a scoop (or two) of vanilla ice-cream. It’s black and white, hot and cold, heaven and hell -it’s the most addictive combo ever. 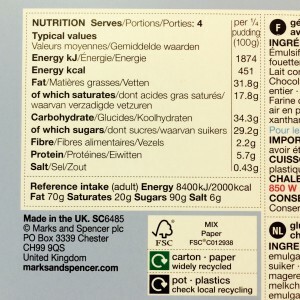 The nutrition information also points out that a quarter of the pudding already provides you with a third of you daily sugar recommendation and almost half of your daily fat allowance! 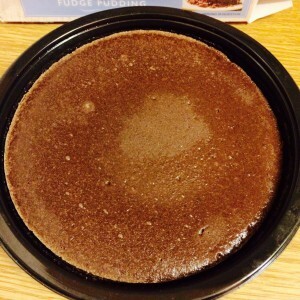 Well, I did tell you right from the start that this pudding was heaven and hell, didn’t I? So if you use the oven, make sure set an alarm -you don’t want your pudding to over-bake as this would harden the core. However, you don’t want to take it out too early, as the top should be slightly crispy. Once baked, get your plates and the ice-cream out. 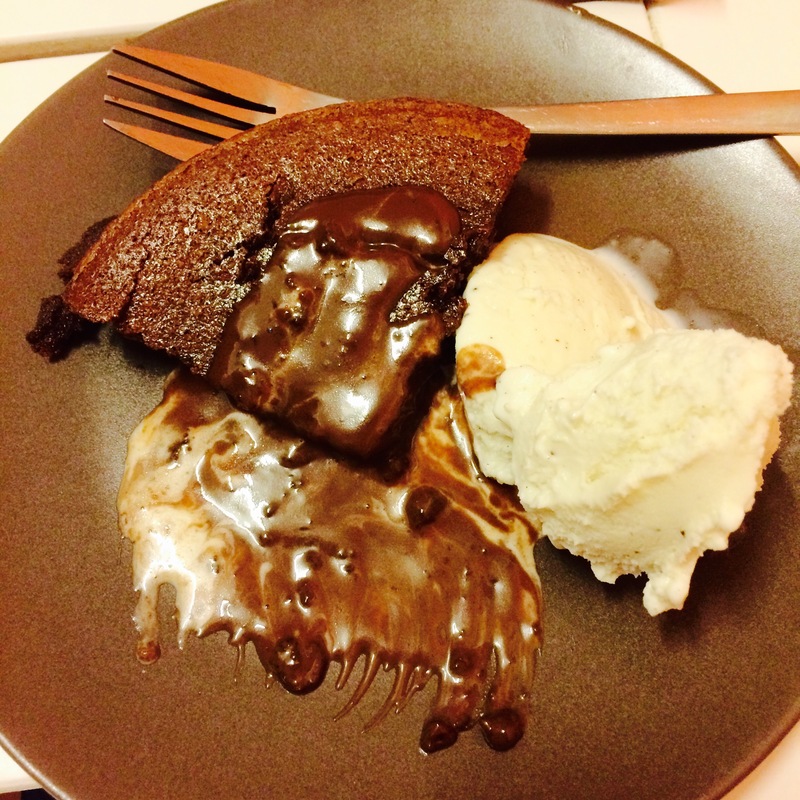 You can have the Hot Chocolate Fudge Pudding on its own but to me it is never complete without vanilla ice-cream. 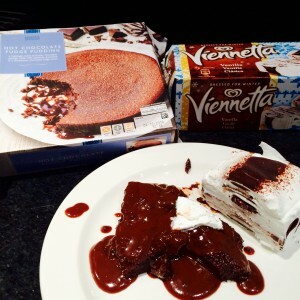 Personally, I like a flavourful vanilla ice-cream best with the Hot Chocolate Fudge Pudding. However, the other day in London I couldn’t find a proper vanilla ice-cream but a box of Viennetta ice-cream. It was a good substitute but lacking the typical vanilla flavour. Whipped cream might also be nice. To be honest, this isn’t the healthiest product ever (you might have guessed). Some of the ingredients could/should be replaced. 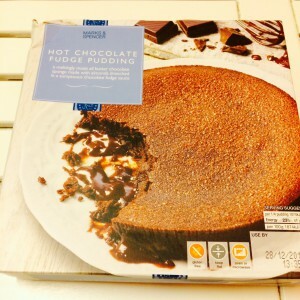 However, looking at similar products, the M&S Hot Chocolate Fudge Pudding is doing quite well. 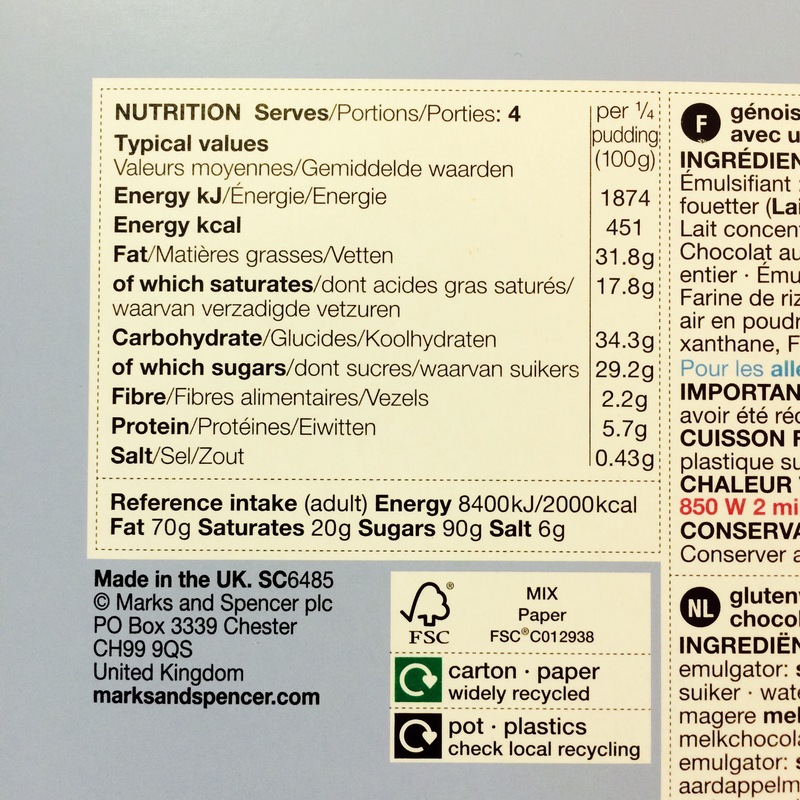 5 of 5 forks might look a bit overrated to some of you but for me it is also about the whole liquid core concept that was brought to me by M&S. 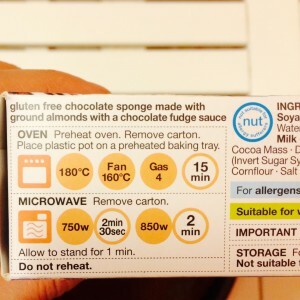 Actually, Food Technologist Elaine Kessler developed the first middle melting chocolate puddings for M&S. 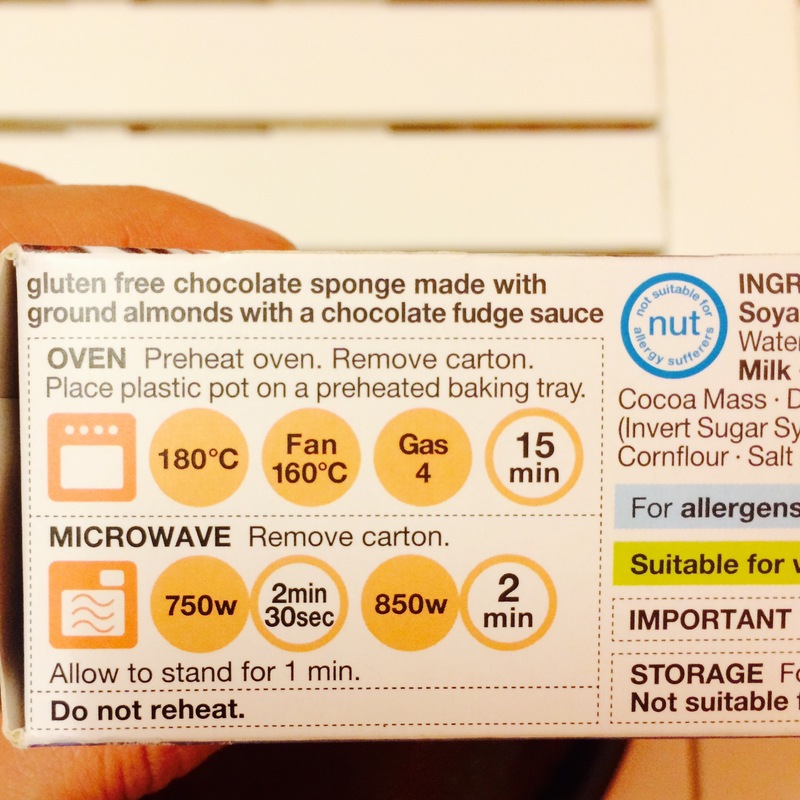 After all, it might be healthier (if a dessert like this can be labeled as „healthy“ at all) to bake these chocolate fondants ourselves. However, the M&S Hot Chocolate Fudge Pudding is prepared in no time and without sticky chocolate fingers -simply convenient. This post reflects a personal opinion and is not scientifically proven at all. My experience is a snapshot with the product. You may well experience the product in an entirely different way. I take no responsibilities whatsoever in regards to food allergies and medical conditions.